Inky Beer was born out of a mutual love of beer and ink (tattoos). This blog will be a catalog of amazing people, their stories, and favorite beers along the way. Enjoy! To get us started, Dr. B and I visited my sister in Boston in June for the American Craft Beer Festival. What an awesome fest! So many types of beer, we hardly knew where to begin… shiny ball syndrome, for sure. 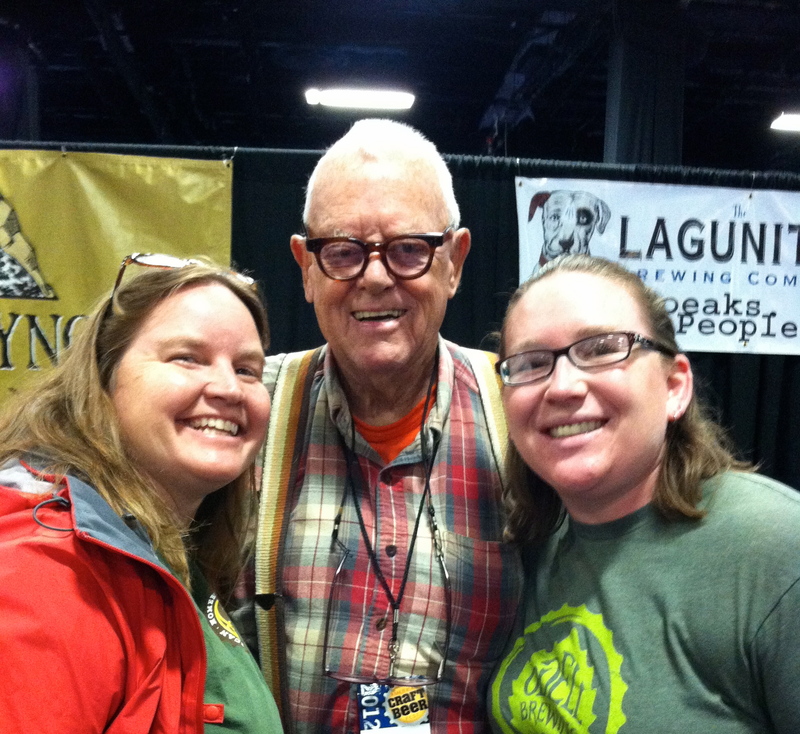 This is a photo of Dr. B and I with the legend, Paul, one of the faces of Smuttynose IPA, “The Finest Kind.” I forgot to ask if he had tattoos, but I hugged him hard when we met. A great day all around.